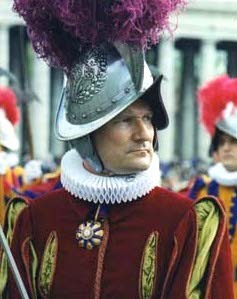 On the day he died, Alois Estermann had been confirmed Commander of the Swiss Guards at the Vatican. That evening, he was found murdered along with his wife, both apparently at the hands of Lance Corporal Cedric Tornay, who then committed suicide. Among the papal bodyguard during Mehmet Ali Agca's assassination attempt in 1981.